John Bolton? Really? John Bolton and Security are two words that don't go together well in the same sentence. Data mining company and campaign manipulator, Cambridge Analytica, has been in the news a lot lately for the major privacy violations they participated in with FaceBook and the dirty tricks they engaged in on behalf of their clients. John Bolton was a major client of Cambridge Analytica, paying hundreds of thousands of dollars to the company through the Super PAC he created in 2013. You can see some of the payments made in the FEC Disbursement file above, but all told, John Bolton Super PAC paid Cambridge Analytica around $650,000 for the "survey research" done for the campaigns of Scott Brown (R-NH), Tom Cotton (R-Ark), and the North Carolina campaigns of Republican candidates, Thom Tillis and Tom Cotton. Ordinarily this would sound like a huge waste of money but as we've been finding out, Cambridge Analytica gave their clients a lot of bang for the buck. 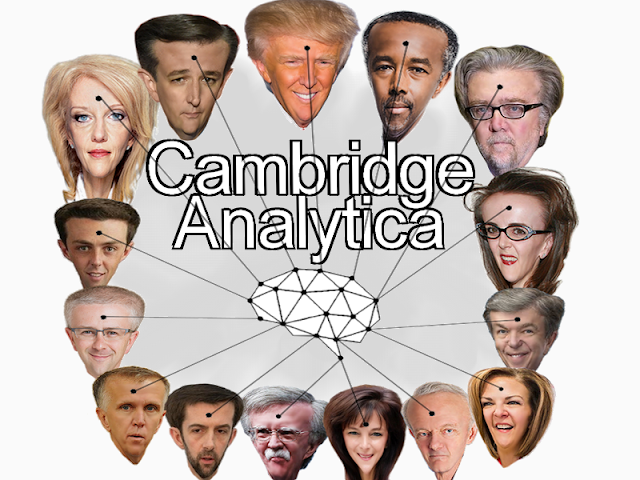 Records show Cambridge Analytica was used by several candidates in their campaigns beginning back in 2014. We'll be listing those individuals in the days to come.